All relevant components of a mobile radio system, from digital modulation techniques over channel coding through to network aspects, are determined by the propagation characteristics of the channel. Therefore, a precise knowledge of mobile radio channels is crucial for the development, evaluation and test of current and future mobile radio communication systems. 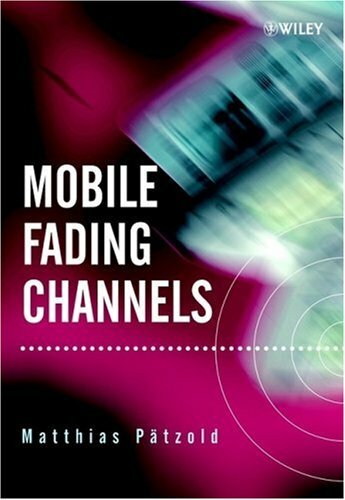 This volume deals with the modelling, analysis, and simulation of mobile fading channels and provides a fundamental understanding of many issues that are currently being investigated in the area of mobile fading channel modelling. The author strongly emphasises the detailed derivation of the presented channel models and conveys a high degree of mathematical unity to the reader. MATLAB(r) is a registered trademark of The MathWorks, Inc.
Telecommunication engineers, computer scientists, and physicists will all find this text both informative and instructive. It is also be an indispensable reference for postgraduate and senior undergraduate students of telecommunication and electrical engineering.